Toby Baxley: What Is Adoption? "What does it mean to be adopted?" This question was posed this morning on the Facebook page of my church, Garden Valley Bible. At first, I formulated the Sunday School answer in my head. 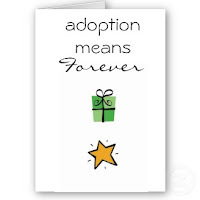 Being adopted means that someone chooses to love you forever and invites you to live with them. Generally, children are adopted because their biological parents cannot take care of them for whatever reason or they simply don't want the responsibility of raising a child. The post went further and said, "Please take a moment and reflect upon what you have today as His adopted son." This prompted further word study into the issue of adoption. 15 For you have not received a spirit of slavery leading to fear again, but you have received a spirit of adoption as sons by which we cry out, "Abba! Father! "16 The Spirit Himself testifies with our spirit that we are children of God,17 and if children, heirs also, heirs of God and fellow heirs with Christ, if indeed we suffer with Him so that we may also be glorified with Him.18 For I consider that the sufferings of this present time are not worthy to be compared with the glory that is to be revealed to us.19 For the anxious longing of the creation waits eagerly for the revealing of the sons of God.20 For the creation was subjected to futility, not willingly, but because of Him who subjected it, in hope21 that the creation itself also will be set free from its slavery to corruption into the freedom of the glory of the children of God.22 For we know that the whole creation groans and suffers the pains of childbirth together until now.23 And not only this, but also we ourselves, having the first fruits of the Spirit, even we ourselves groan within ourselves, waiting eagerly for our adoption as sons, the redemption of our body.24 For in hope we have been saved, but hope that is seen is not hope; for who hopes for what he already sees?25 But if we hope for what we do not see, with perseverance we wait eagerly for it. 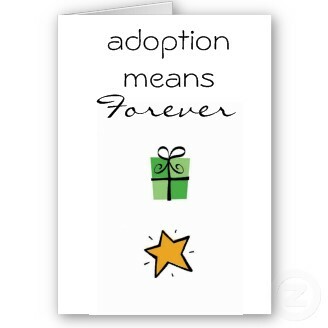 Adoption is forever. The illustration of being adopted as first-born sons would have made a profound impact on the Roman Church. In Rome, you could not legally disown an adopted child, whereas you could disown a biological child. Paul used the metaphor of adoption to illustrate that our justification is eternal. We are co-heirs to the Kingdom of Heaven. Through adoption as first-born sons, we are heirs to the throne of grace. I don't think we fully realize the weight of this claim. We have all the rights and responsibilities of the first-born son. This language is intentionally masculine. To quote my Pastor, "What a statement this must have been in that culture then. What a great reminder of value and worth today regardless of gender." Our status as co-heirs is predicated upon our suffering. Scripture clearly states that we are fellow heirs with Christ if indeed we suffer with Him so that we may be glorified with Him. WHAT?!?! This turns Christianity-as-a-crutch on its ear. If I'm reading this correctly, our adoption is an invitation to suffer. Our sanctification (process of being conformed into Christ-likeness) takes place almost exclusively through hardship. Christ suffered for the joy set before him. We suffer as a means of refinement, so that our joy may be complete only in Him. Through suffering, God takes down all of our idols that promise life but only bring death, so that we can have true happiness only in Him. What does with Him mean in verse 17? I believe that Christ suffered for me, but he also suffers with me. When I experience suffering, I can push away from my sanctification or I can lean into Him and experience His comfort, care, and teaching. Our present suffering will be forgotten when God's glory is revealed to us. All of our trials and troubles can't compare to the coming glory. I would say that our trials will be but a faint memory, but I'm not even sure if they'll carry that much weight. I tend to shudder when I hear someone say, "I'm going to have some questions for God when I get to Heaven." That statement is fraught with arrogance. For one reason, God does not owe us any explanation. Second, I believe that all we will be able to do and say when we come face-to-face with his glory is to fall to our knees and cry, "Holy, holy, holy is the LORD God Almighty. The whole earth is full of His glory." There's no room for arrogant demands when your heart is wrapped up in worship. Our adoption - our redemption - are now and not yet. In verse 15, Paul says that we have been given the spirit of adoption and in verse 23, he states that we eagerly await our adoption. Confusing? No. Our salvation is a definite event, a life-long process, and an awaited completion. Our justification is a definite event when we believe God for our salvation and Christ's righteousness is credited to us. In justification, we are set free from the penalty of sin. Our sanctification is a life-long process, whereby we are conformed into the likeness of Christ and, slowly, set free from the power of sin. Our glorification is when we meet Jesus face-to-face and know Him as he truly is. In our glorification, we are then set free from the presence of sin. Adoption is now and not yet. Adoption is a call to suffer with Christ for a greater joy and glory. Through reading the scripture and these thoughts, I hope your heart is moved to worship as you consider your adoption into the Kingdom of Heaven. Let's discuss further in the comments.